The end of summer and back to school stinks. Sorry, but it does. Back to the grind, back to the routine and soon, the sun will disappear far too early in the evening. But around this house, we do take heart in one of the best times of the year...football season, especially college football. Our twelve year old son is up early on Saturdays and blasting Game Day to get everyone excited and it works! Pure joy! Even if we are not at a tailgate, you better believe there is a tailgate menu planned anyway. I suppose it's obvious we like crab, so it's bound to be on the menu. Clearly one of the easiest ways to serve Big T dip is to crack it open and put some crackers in a basket But we have to kick it up sometimes, right? 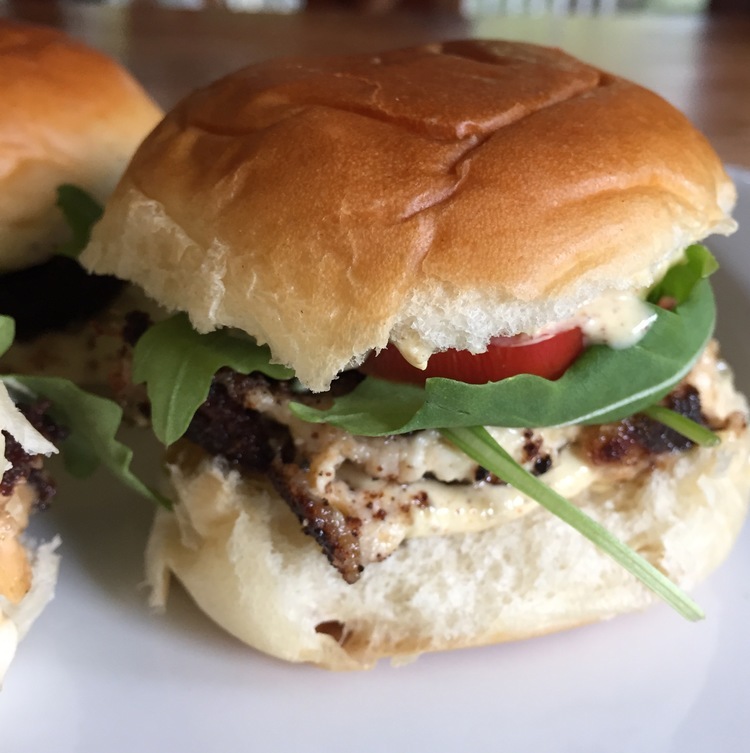 We love crab cakes, so we thought why not make sliders out of the crab dip? And why not kick it up with a spicy remoulade and nutty arugla? You can prepare them ahead of time and wrap them in foil to keep them warm. So get your gridiron on and hunker down for football season! Big T Crab Dip Sliders will be a fun addition to your tailgate this year!